This is the first in a series that will review responses to Enbridge’s last-minute promises on its Line 3 pipeline project. The PUC adopted these with no pubic scrutiny. This blog looks at the responses from Native Nations. The next blogs will look at responses from state agencies and an environmental group. 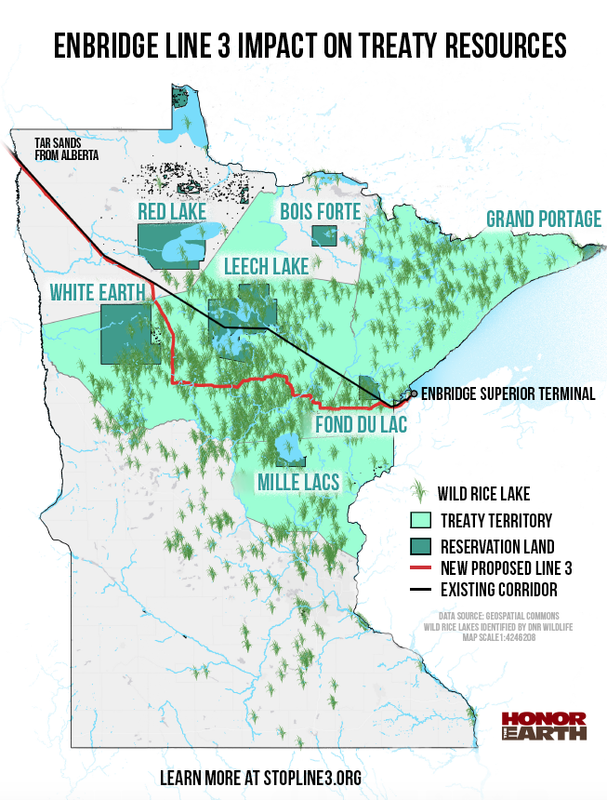 In late June, the Minnesota Public Utilities Commission (PUC) was entering its final deliberations on the Enbridge Line 3 tar sands pipeline. The debate spanned years, including public hearings, an environmental impact statement, and recommendations from an administrative law judge. With a final vote imminent, the PUC changed the rules. It allowed Enbridge to change its proposal after the official record had closed. The PUC accepted Enbridge’s deal sweeteners and voted to approve them without giving regulators or the public a chance to review and critique them. While Enbridge’s promises might look good on paper that’s no guarantee they will deliver. Now, predictably, many parties — tribal nations, state agencies and an environmental group — have filed responses to the PUC seeking significant changes. These responses show just how little thought the Commissioners gave to Enbridge’s proposals before giving them the green light. In particular, Enbridge gave no consideration to indigenous rights. While perhaps it’s not surprising that Enbridge tried to game the system, it is disappointing that the PUC went along with it, one more example of its flawed process. Enbridge’s last-minute promises were: 1) A Decommissioning Trust Fund for the new Line 3; 2) a Parental Guaranty for any environmental damages caused by the new Line 3; 3) a Landowner Choice Program (removing old pipeline or making a one-time payment to landowners); 4) a “Neutral Footprint” Program (renewable energy credit offsets and tree replacement program); and 5) a General Liability and Environmental Impairment Liability Insurance. Had Enbridge been serious about these offers, it would have made them at the beginning of the process and allowed time for the public to understand and debate them. The Mille Lacs, Fond du Lac, and White Earth and Red Lake bands of Anishinaabe and Honor the Earth filed responses July 30 demanding stronger commitments and protection from Enbridge. Decommissioning Trust Fund: The Decommissioning Trust Fund, as Enbridge wrote it, only applies to decommissioning the new Line after it’s shut down in 30-50 years. Enbridge’s proposal does not specifically name affected tribes as insureds by the Trust Fund. That’s a significant omission. Red Lake and White Earth said bands directly impacted by Line 3 should be individually named. Comment: If it was intentional omission, it means Enbridge was trying to slip something through. If it was an accidental omission, it means the process was too rushed. Enbridge’s assertion that the company cannot be compelled to clean up its admitted mess because it was not required to do so as a condition of the original construction, must be rejected. Enbridge is a foreign company doing business in Minnesota, and the company’s business has proven to be toxic to Minnesota residents. Enbridge’s claim that the company was somehow “grandfathered” in because of the lack of environmental laws at the time of Line 3’s original construction, and that the company is somehow exempt from cleaning up the present mess, must be rejected. The PUC must require the company to remove the existing Line 3, and must permit tribal monitors, as well as monitors from the various agencies that have issued permits to the company to operate the existing Line 3, to view first hand the degree to which the pipe has leaked. Furthermore, the company must be held accountable for the clean up of any oil that leaked from the existing Line 3. Comment: This is the first of several examples of where Enbridge’s proposal ignores tribal interests. Further, at least two PUC commissioners said a deciding factor in their vote approving the new Line 3 was concern that the old Line 3 would burst. The PUC can’t have it both ways. It can’t take responsibility for preventing a rupture on the current Line 3 by approving a new Line 3, then turn around and say it has no authority to require Enbridge to clean up of the old Line 3. Parental Guarantee: Enbridge’s proposed Parental Guarantee would pay for environmental damages from the construction or operation of the new Line 3. Mille Lacs and Fond du Lac said Enbridge’s should specifically name tribes individually as beneficiaries of the Parental Guarantee. Comment: Again, Enbridge’s proposed language ignores tribal interests. This seems like a pattern. 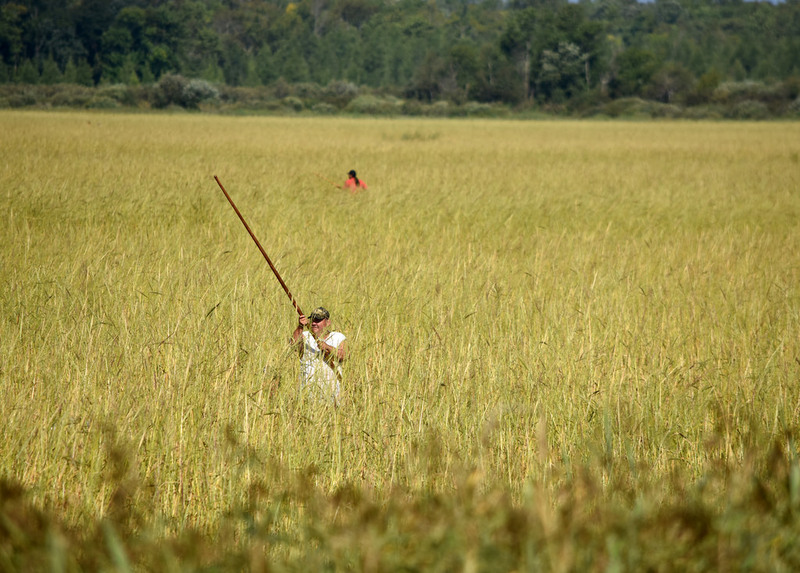 While the new Line 3 might not cross reservation lands, it does cross lands where tribes maintain off-reservation rights to hunt, fish and gather. Within an Indian reservation, at the request of the tribe, Enbridge should also be required to offer compensation to individual land owners (including to Indian allottees or fee landowners) to remove the old Line 3 rather than offering compensation to decommission and abandon old Line 3. By offering compensation to landowners to leave old Line 3 in place, Enbridge is encouraging landowners not to seek removal. Within an Indian reservation, tribes should be able to determine whether the incentive should instead be used to remove old Line 3 in order to more broadly protect land and resources within their reservation boundaries. Comment: Calling it the “Landowner Choice Program” was a good marketing ploy by Enbridge; “choice” is a positive word. As applied in this case, however, it seems self serving. Enbridge would reduce its costs by making a cash payment to landowners instead of the more expensive option of removing the decaying pipeline. Enbridge’s plan would push costs onto future generations. Neutral Footprint Program: Enbridge’s Neutral Footprint program promises the company will acquire renewable energy credits to offset the increase in nonrenewable energy consumed by the Line 3 Replacement Project and will include a tree replacement program that plants a new tree on public land for each tree removed to build the new Line 3. Fond du Lac’s response pushes Enbridge to include the Bands in decision making. Enbridge should be required to consult with the Band and other Indian tribes regarding: (1) the locations for tree conservation and/or tree planting; and (2) other mitigation for wetlands and other impacted natural resources that are tribally significant and that will promote a neutral footprint. It is insufficient simply to work with the state and a “reputable third party conservation organization” to make these decisions within the 1854 Ceded Territory. Comment: This is one more example where Enbridge has ignored Native nations as an important voice in this process. [Enbridge states] that it “will continue to comply with this [insurance] requirement as long as such policies are available on commercially reasonable terms in the future.” This statement is unreasonably vague and essentially provides Enbridge with the ability to make the determination, solely within its own judgment and not based on any objective standard, on whether to obtain additional insurance. The Commission should impose enforceable, clear standards on this and all other Enbridge conditions. Comment: Considering all the criticisms above, it’s clear the PUC failed to give Enbridge’s proposals the time and scrutiny they deserved.